Every year at Christmas, children await Santa Claus. When they get older, they think he is just make believe. But Santa Claus really lived—long, long ago. 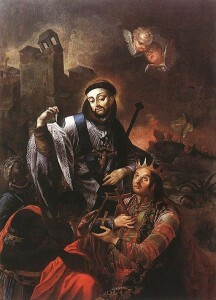 His generosity is based on a saint who was a great gift-giver. Nicholas was born to a wealthy family in what is today Turkey in the latter part of the third century. When he grew up, he became the Bishop of Myra—a city in Asia Minor. That really is all we know for certain about Nicholas. All the rest is legend. But legend is based on memory. The Church has collected many legends about Nicholas because many people had wonderful memories of his gift giving. 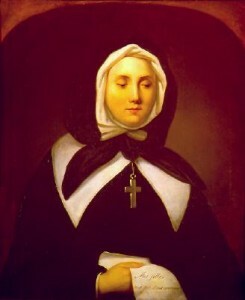 A favorite legend about Nicholas has to do with his gifts to three sisters. At that time, a woman had to have a dowry if she wanted to get married. Her husband would use the money to build their home or start a business. These three sisters had no dowry. So their father was going to force them into a bad life. Hearing about this, Nicholas filled three bags with gold coins. He threw these bags over the back of a lovely silver donkey. With the donkey, Nicholas stole through the deserted streets of Myra one starry night. When they came to the sisters’ home, Nicholas tossed the three money sacks through the open window. How happy he must have been when he heard later that the three young women all married good men! Nicholas died around 343 in Myra, Lycia (modern day Turkey). 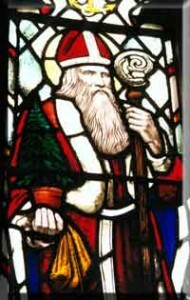 He is the patron saint of children and sailors/voyagers. 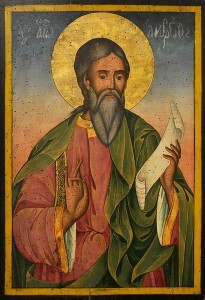 The day of his death, December 6, is his feast day and is widely celebrated throughout Europe still today. 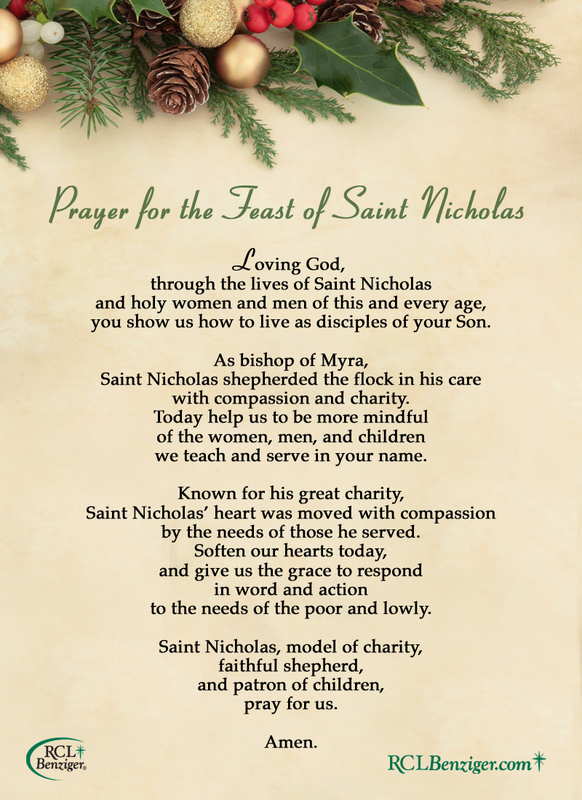 Click here to download and print a St. Nicholas Prayer Card.